Less than 24 hours after UFC 196 lost one half of the main event, heavyweight champion Fabricio Werdum has now been forced to withdraw from the card as well due to injury. 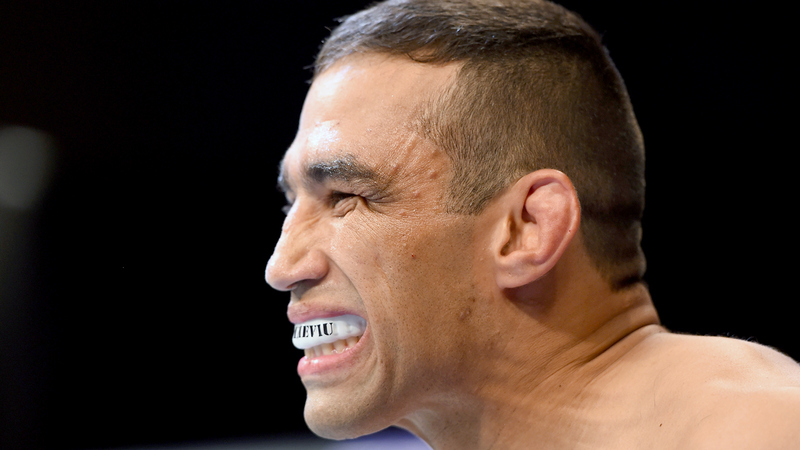 Werdum revealed that he was pulling out of the fight to several media outlets on Monday, including MMAFighting.com. Werdum was expected to face Cain Velasquez at UFC 196 but then an injury forced the challenger to pull out of the bout on Sunday. Now, Werdum is out as well. "I decided not to fight because I’m not 100 percent," Werdum said. "If Cain was the opponent, I would go on. It’s not his fault, it’s nobody’s fault. Injuries happen. You can’t avoid them. I have no option. I made this decision because I’m not feeling 100 percent." The UFC quickly moved to replace Velasquez with top-ranked contender Stipe Miocic, who accepted the contest on less than two weeks notice so he could take a shot at winning the heavyweight title. Now the UFC is left with very few options as the UFC 196 fight card draws near on Feb. 6 and both main event fighters have been forced out due to injury. According to Werdum in his statement, he suffered a back and a toe injury that ultimately forced him out of the fight. UFC officials have yet to comment on the injury or what will happen to the event now that both champion and challenger are no longer participating. The co-main event for UFC 196 is currently slated as a welterweight showdown between former champion Johny Hendricks and top 10-ranked fighter Stephen "Wonderboy" Thompson.